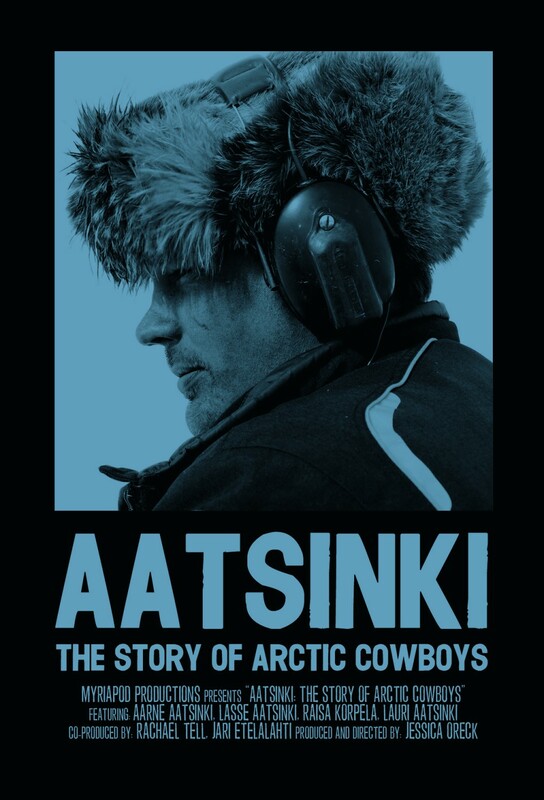 Brothers Aarne and Lasse Aatsinki are cowboys of the Arctic. Quiet but good natured, dare-devilish but humble, rugged but gentle, and exceptionally knowledgeable when it comes to their little slice of wilderness. These men are what John Wayne wanted to be. The brothers, along with their wives and children, live well north of the Arctic Circle in Finnish Lapland, where they are the leaders of a collective of traditional reindeer herders who manage the last group of wild reindeer in all of Finland. Aatsinki follows the family for the span of one year, quietly observing their seasonal routines and the difficulties and joys of a life so closely tied to the land. Theirs is a story of action and work, of small moments between husband and wife, father and daughter, animal and man, man and landscape. It is a life of sweeping panoramas and commonplace details. The simplicity of the film allows the extraordinary action to shine through, whether it be a thousand reindeer cresting a hill or Aarne’s daughter opening a Christmas present. Though, on the surface, Aatsinki is the story of a single family, its underlying narrative is one of global consequences and connections. Between their uncanny understanding of the landscape and their reindeer on the one hand, and their heavy reliance on snowmobiles and helicopters on the other, the herders have been categorized as beacons of sustainability and demons of environmentalism – in essence, poster children for simplicity and technology alike. Their story raises weighty questions about what it means to live with the land and invites audience members to reconsider their own assumptions about technology, food production, and, most critically, man’s place in nature.